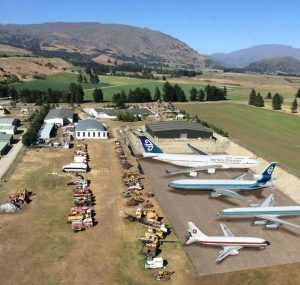 A group of aviation enthusiasts led by Paul Brennan have established a crowd-funding project called ‘Bring Our Birds Home’ and are hoping to bring five historical airliners back to New Zealand. They will be restored and displayed at the National Transport and Toy Museum in Wanaka. The aircraft — a Lockheed Electra, Douglas DC-8, DC-10, Boeing 737 and 747.